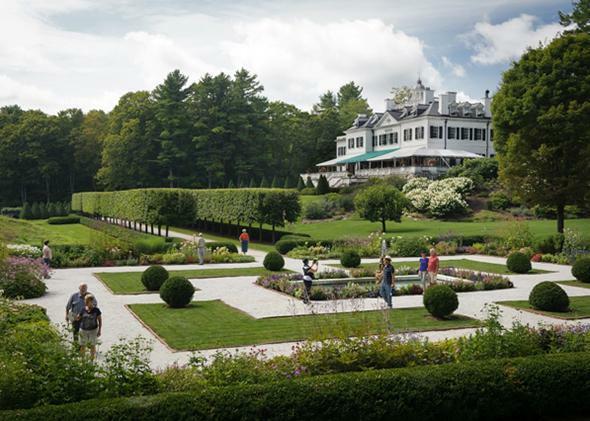 Entertaining tips from Edith Wharton, whose summer home the Mount was in Lenox, Massachusetts. 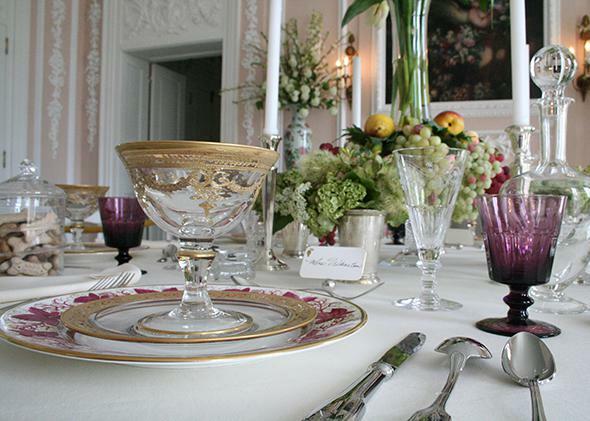 Summer entertaining tips from Edith Wharton. Photo by John Seakwood/the Mount. 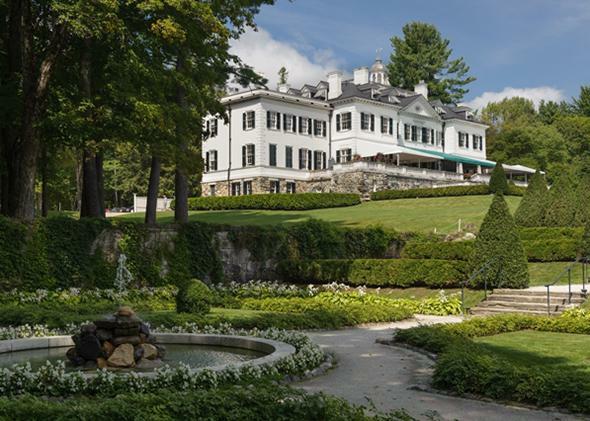 This August I’m hosting a literary interview series at Edith Wharton’s country estate, the Mount, and as the date draws near I find myself wondering what the grande dame herself would think of such an enterprise. My hunch is she’d have mixed feelings. When the novelist and her husband, Teddy, moved into their just-built mansion in Lenox, Massachusetts, in 1902, the locals wondered if Wharton would become the new Catharine Sedgwick, the best-known female novelist of the 1830s, who’d maintained a literary salon in town. 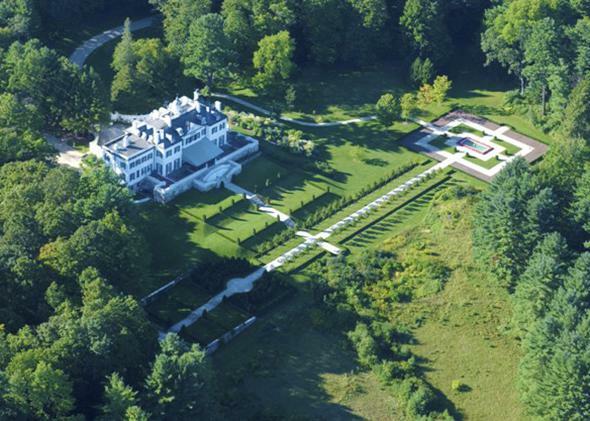 The Berkshires had long been lousy with writers. Henry Wadsworth Longfellow and William Cullen Bryant had lived in the area. The famous first meeting between Herman Melville and Nathaniel Hawthorne took place in 1850 on nearby Monument Mountain; for the next two years, they lived 6 miles apart. After Hawthorne died in 1864, tourists flocked by the hundreds to the little red house where he’d written The House of the Seven Gables and The Blithedale Romance. Maybe Wharton’s arrival would replenish the ranks? I’ve long admired the Mount as a rare instance of an “autobiographical house”: Wharton designed it herself, according to the architectural principles she set forth in her first published book, The Decoration of Houses, and closely oversaw its construction. Only now am I appreciating her gifts as a hostess. Wharton was a social woman, and it was here, far from the fashionable Newport resort scene she’d grown up with, that she was finally able to reject the highly regulated yet completely mindless fraternizing of her privileged class—endless afternoons spent “paying calls”; suffocating weeklong house parties requiring countless changes of dress and vapid dinner-table conversation—and entertain on her own terms. Wharton wasn’t merely in pursuit of the so-called good life; she was out to master what she called “the complex art of civilized living,” an elegant balance of work, art, and leisure. She built her value system directly into the estate, which is something of a live-work space writ large. All through the summer and fall, she’d host a steady stream of houseguests without putting a dent in her own productivity. Photo by Kevin Sprague/the Mount. 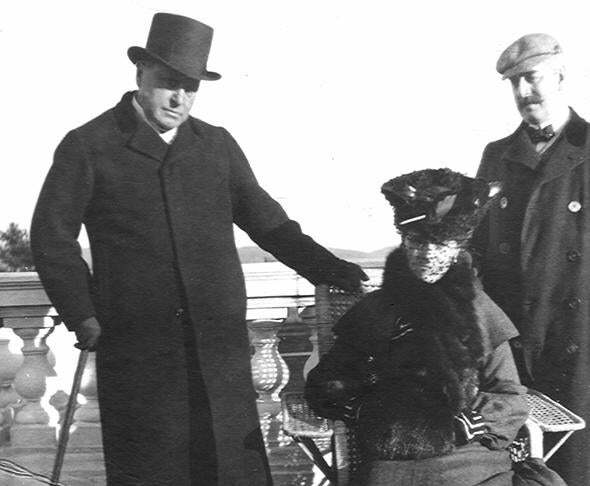 Edith Wharton at the Mount with her pals Henry James, left, and Howard Sturgis, right. Photo courtesy of the Mount. Only invite people you really like—otherwise there’s no point. By the time Wharton moved into the Mount, at age forty, she’d been dutifully playing society wife for 17 years. Finally, she was able to entertain whomever she wanted. She deepened her relationships with selected childhood friends, and made new ones in Lenox. As she came into her own as a novelist (her breakout book, The House of Mirth, was published in 1905), she made a point of spending as much time as possible with the many likeminded people she was meeting through her work, many of them editors, publishers, academics, and fellow writers like James, a frequent, favorite guest. Wharton was undeniably class-bound, but also, biographer Hermione Lee points out, always open to new possibilities. She seems to have had a fondness for quiet, introspective types, and she never saw age as a barrier, for instance befriending both the distinguished social critic Charles Eliot Norton and his devoted daughter Sally. So: Weed out the people you don’t care about, preserve time for the people you do, and take advantage of the opportunity hosting presents to cultivate new friendships with those who cross your path who seem interesting. The drawing room at the Mount. 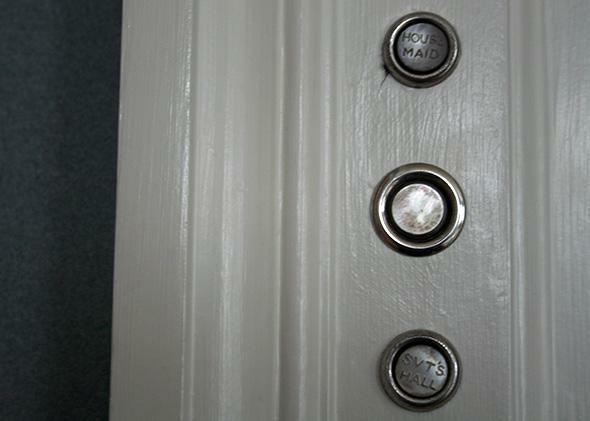 The mother-of-pearl bell pushes in a Mount guest room. A staff of nine certainly takes the chore out of hosting, but Wharton’s attentiveness to the little things is easy enough to replicate by the rest of us. When her guests arrived, tired and dusty from their train journey, she liked to greet them with Champagne. Turning off the lights and brightening the evenings with wax candles ensures the living room doesn’t “look like a railway-station, the dining-room like a restaurant,” as she wrote in The Decoration of Houses. Judging by James’ note about the apples and candies, she kept plenty of snacks on hand to nibble between meals. I’m especially charmed by the heart-shaped hooks she installed only in the guest rooms (presumably crafted in the nearby Shaker village)—a small touch that shows your guests you’re thinking about them. Central to Wharton’s entertaining philosophy was plenty of time for herself, which ensured she got done what she needed to do and, when finished, could be fully available to her guests. On a typical day at the Mount, she rose at 6 o’clock and ate a light breakfast of coffee and rolls while sitting in bed reading the newspapers and writing. Around 11 o’clock she’d end her workday and walk the grounds with her gardener. Nobody was allowed to interrupt her, ever (except the servants). 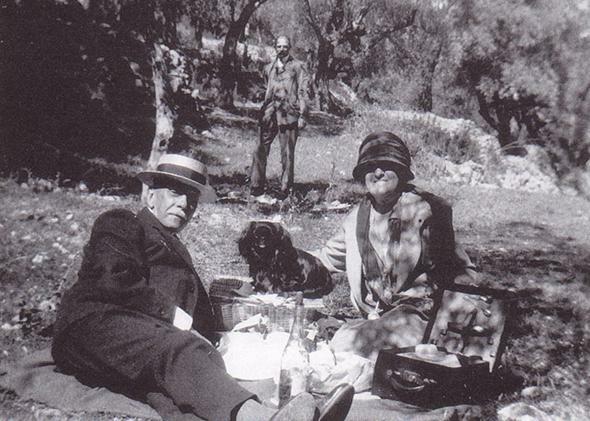 Edith Wharton and Walter Berry having a picnic. 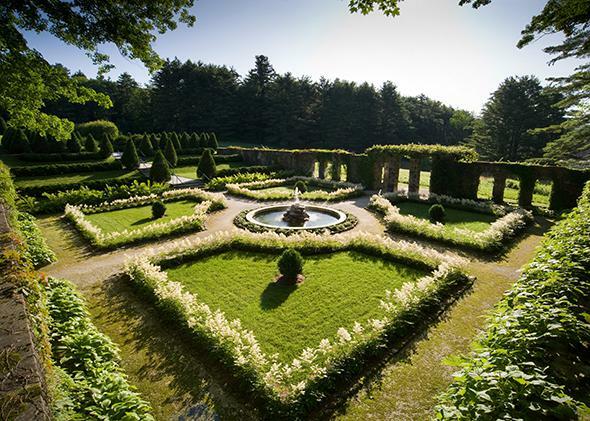 At noon Wharton convened with her guests for lunch on the terrace, or even better, picnicked with them somewhere on her gorgeous grounds (designed with help from her niece, the noted landscape architect Beatrix Farrand)—a wonderfully casual retort to the multiple-course luncheons of her youth. Given her appreciation for common-sense solutions, I think she’d understand swapping out her own cumbersome picnic basket—surely carried by a servant—for one of today’s ubiquitous canvas tote bags, kept stocked and at the ready with a blanket, a corkscrew, and dining utensils. 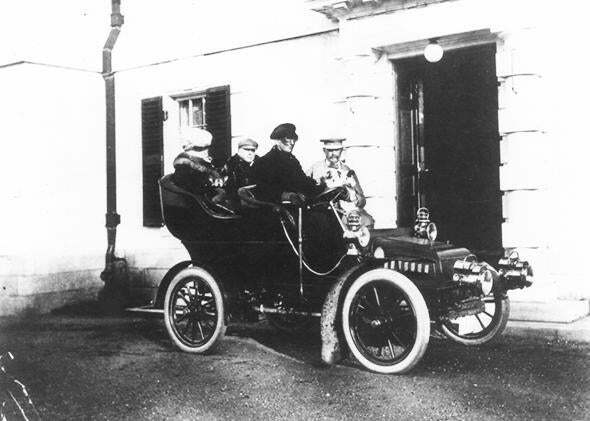 Edith and Teddy Wharton, Henry James, and Cook the chauffer, heading off on a jaunt. Vacationers fall into one of two groups: those who like to get out and do things, and those who don’t. The ever-industrious Wharton didn’t leave much room for choice, perhaps rightly intuiting that even bookish types—make that especially bookish types—need to stretch their legs. She made sure that every afternoon held an outdoor excursion of some stripe—long walks; gardening; horseback riding; touring in her motorcar through the countryside. A favorite group nighttime activity was stargazing. 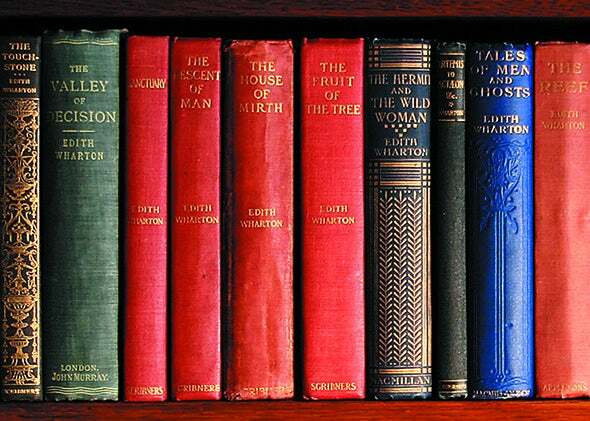 “Almost every day on returning from the afternoon expedition we were greeted by an engaging row of new volumes, which the hostess instantly handed over to her guests,” remembered her friend Robert Norton. 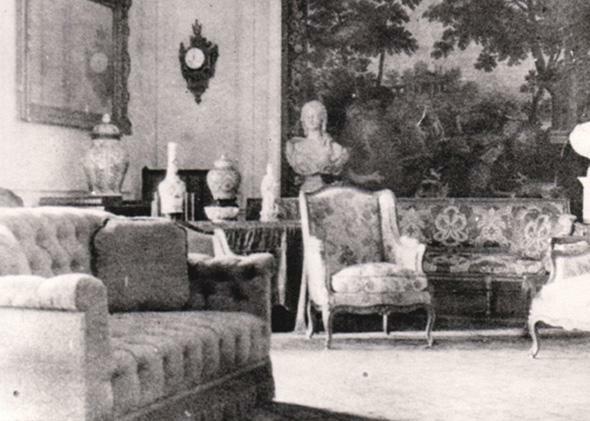 Presumably, after the outdoor excursion and before changing for dinner, guests would settle in with a book on one of the many plush armchairs in the drawing room (comfort was paramount for Wharton), or a chaise on the terrace. Apparently she had something of a mania for occasional tables; you were guaranteed to always have a place at your elbow to rest your lemonade. 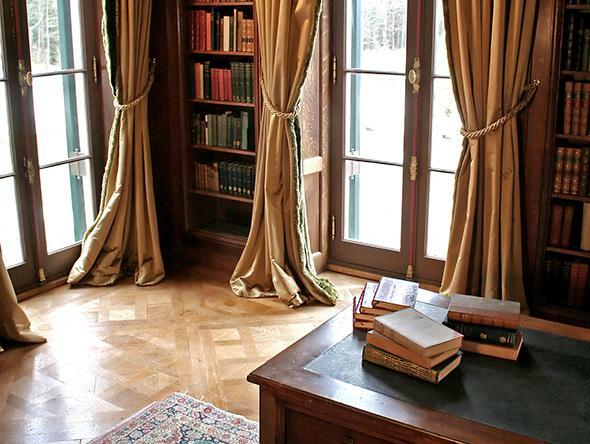 Wharton’s Library at the Mount. Photo by David Dashiell/the Mount. One guest reported that sometimes Wharton would ask her visitors if they’d like to hear her read one of her own chapters in progress, and give criticism. “It helped her very much, she said, to be able to talk over what she was writing; and she encouraged us to be completely frank in our comments and suggestions.” For the after-dinner evening entertainment, everyone retired to the library to take turns giving readings—the works of Walt Whitman were a favorite. The dining room at the Mount. Table setting at the Mount. It’s said sometimes that Wharton was a teetotaler, but Schuyler doesn’t think so—rather, that there was a distinction between hard liquor (which her husband overimbibed) and wine. “A good wine cellar was a mark of civilization and a point of pride in her New York upbringing, and certainly remarked upon in her fiction,” says Schuyler. She adds that Wharton’s few extant recipes (Christmas pudding; lobster dishes) called for generous amounts of alcohol. Touchstones at the Mount opens on Aug. 8 and runs for four consecutive Fridays. This summer’s featured guests are Andre Dubus III, Joanna Rakoff, Scott Stossel, and Jennifer Finney Boylan. Go to edithwharton.org for more details.